There are three distinct stages of labor and delivery that you need to know about. Why? Because each stage requires different actions from you so that you have the best possible birth experience. In the hospital your stages of labor and delivery will be measured by pelvic exam to determine how dilated you are. This is a poor measurement of your progression because there is much more going on during labor than simply your cervix opening up. An experienced midwife or homebirth attendant is much more likely to accurately assess your stages of labor and delivery based on your behavior, physical signs, the length of time between and the intensity of your contractions. We absolutely encourage you to take a childbirth class so that you develop a deep understanding of the stages of labor and delivery as well as what to do to help yourself during each stage. Our favorite classes are Bradley Method classes. 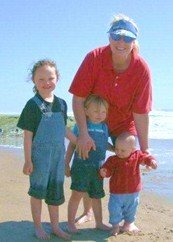 If you absolutely cannot attend a childbirth class in person, at least sign up for an online childbirth class. You may have early signs of labor of labor as early as eight months along. Initially, you may feel a tightening of your abdomen. You may not feel anything, but you will simply notice your stomach is hard, like a watermelon, for a few seconds. Over time this will progress until you feel a bit of cramping during pregnancy and have frequent Braxton Hicks Contractions. 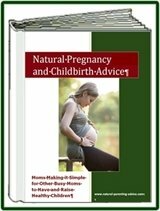 For more about early labor signs. 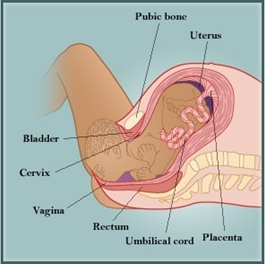 Early Stage of Labor – the majority of your labor will likely be in this stage. Ranging from 8-15 hours, contractions are usually between 30 and 55 seconds long and 5-20 minutes apart. Second stage labor, best known as pushing stage, starts after you have complexly dilated. The top of your uterus will now start contracting down towards your cervix to expel your baby. 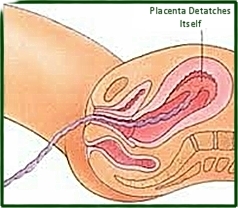 For more information about third stage check out placenta delivery. 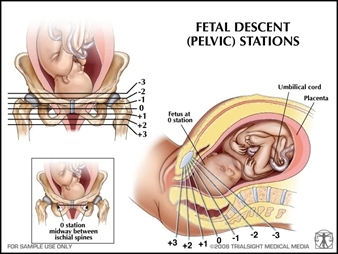 As we mentioned above, pelvic checks are a poor way to assess how far along in the labor stages you are. Pelvic checks only measure dilation, effacement and station. These physical signs just one of the many way to assess how prepared your body really is. Midwives are less likely to perform pelvic exams because they know that your emotional state, mental state and physical state *in combination* are a much better measure your labor stages. For information about how labor feels from a physical, emotional and mental perspective, click on the hyperlinks in blue above. This will give you in-depth information about each of the labor stages so you can easily assess how far along you are.